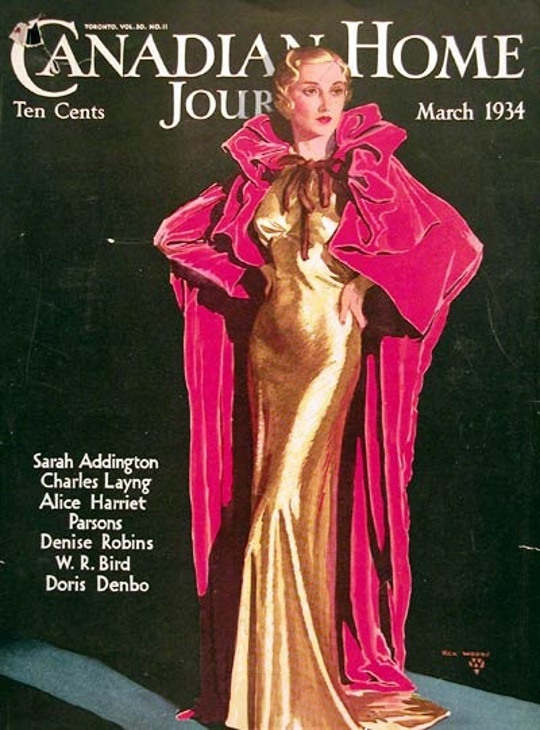 So where to start with 1930s fashion? 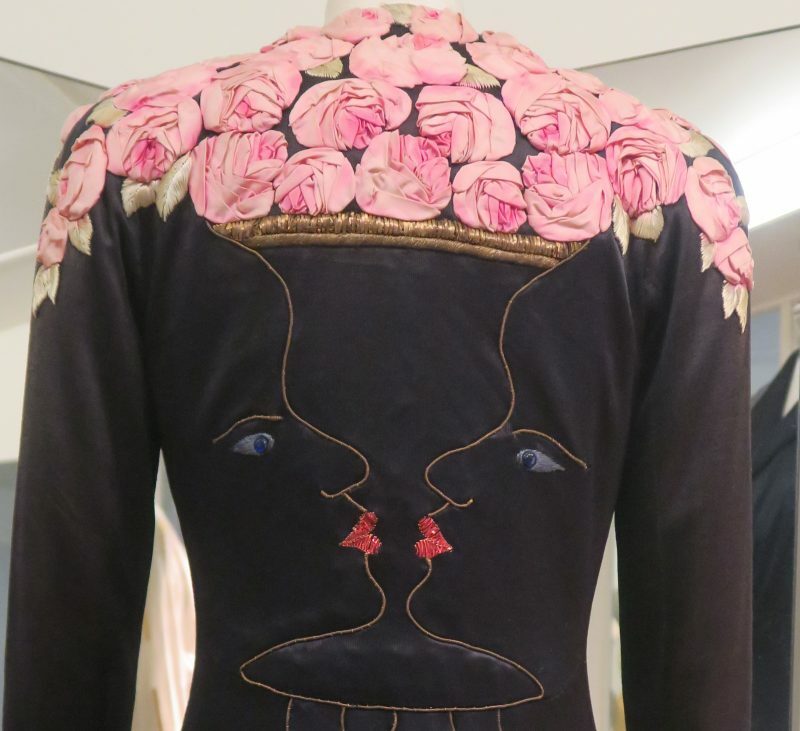 I could mention the glamorous cut-on-the-bias evening dresses made by Madeline Vionnet or the surrealist fashions of Elsa Schiaparelli but this would not be doing justice to the entire decade and how transitional it was to fashion history. We start the decade with the Great Depression and end the decade with the outbreak of World War Two in 1939. Read on to find out more and listen to my latest podcast at the bottom of the post! 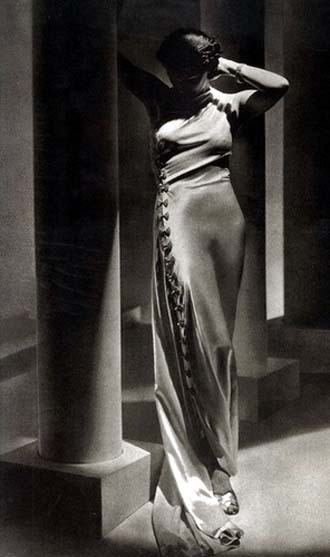 In my opinion the 1930s was a transitional period in fashion. In 1930 we start of with the slender lines of flapper fashion’s and end the decade with shoulder pads and victory rolled hair that was synonymous with the wartime look of the early 1940s. 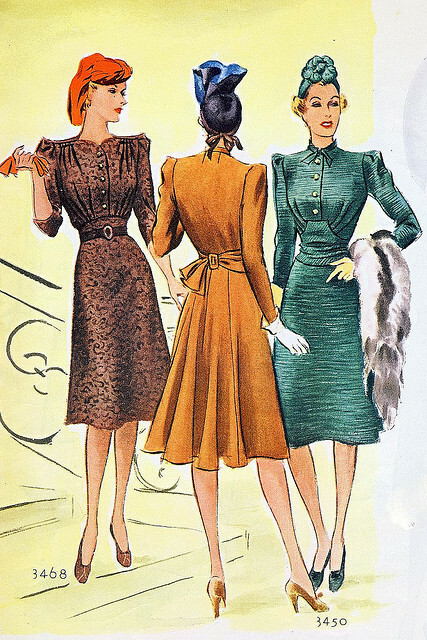 Personally, I don’t suit a lot of 1930’s styles because I feel that to truly suit 1930s fashions you need a tall and slender figure (such as these tall and slender ladies below)as my figure suits 1940s and 1950s fashions better. 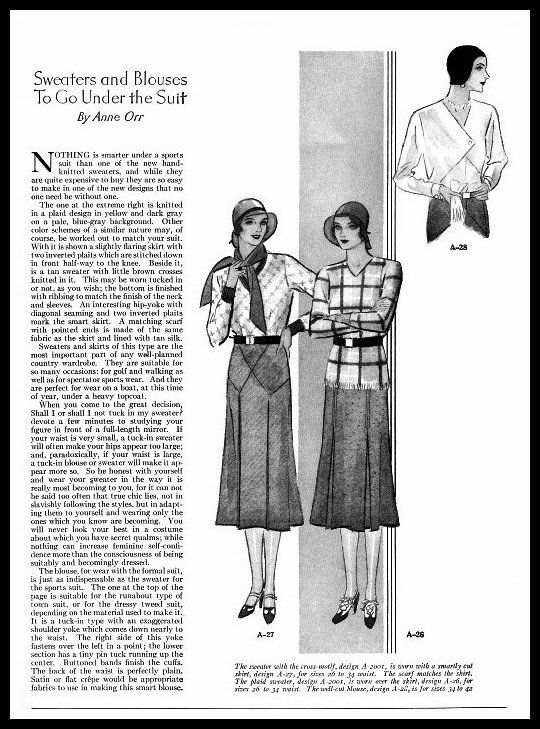 As we move through to the middle of the 1930s the silhouette is less flapper influenced and the 1930s silhouette really comes into its own with figure clinging cut-on-the-bias evening dresses by Madeleine Vionnet, high waisted tweed skirts, blouses and more casual wear in the form of high-waisted trousers. 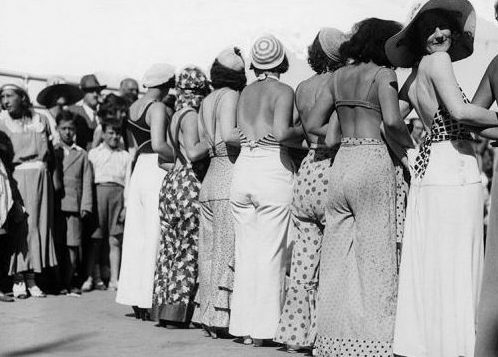 One of my favorite, favorite, favorite looks from the 1930s was the craze for ‘beach pyjamas’ or wide legged trousers and matching sleeveless tops or blouses that you wore at the beach, to the beach or promenading in such places as the French Riviera. From April to September this looks is basically my summer wardrobe as I like to spend as much time on the continent (preferably in Italy or Bulgaria) soaking up the sun and pretending I’m a 1930s actress! As we move towards the end of the 1930s the silhouette becomes more harsh, almost militaristic in its styling, particularly with the continued use of shoulder pads to accentuate the natural shoulder line. By the time we get to 1939 the fashion that we think of as wartime or 1940s fashion had been in style for a few years. McCall dress pattern for 1940. Also in 1939 in what would be the Spring/Summer 1940 catwalk shows Mainbocher released this famous image below of a woman wearing a corset. This image would have hailed a new era of the corset and nipped in waists we associate with the 1950s. But this was not to be and practicality had to take over in favour of simpler fashions due to the outbreak of World War Two. Don’t forget to listen to the podcast below and watch my new YouTube Video to! Happy listening and watching! Horst. 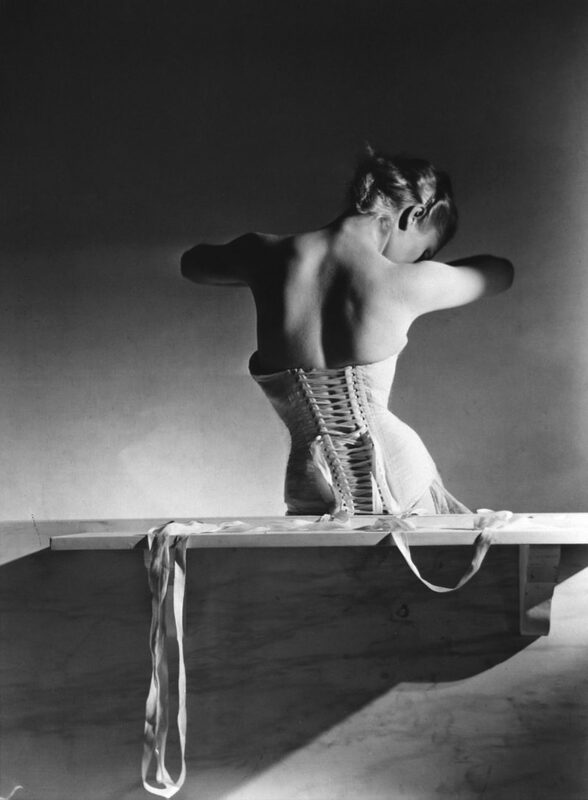 P. Horst’s image of Mainbocher’s corset. 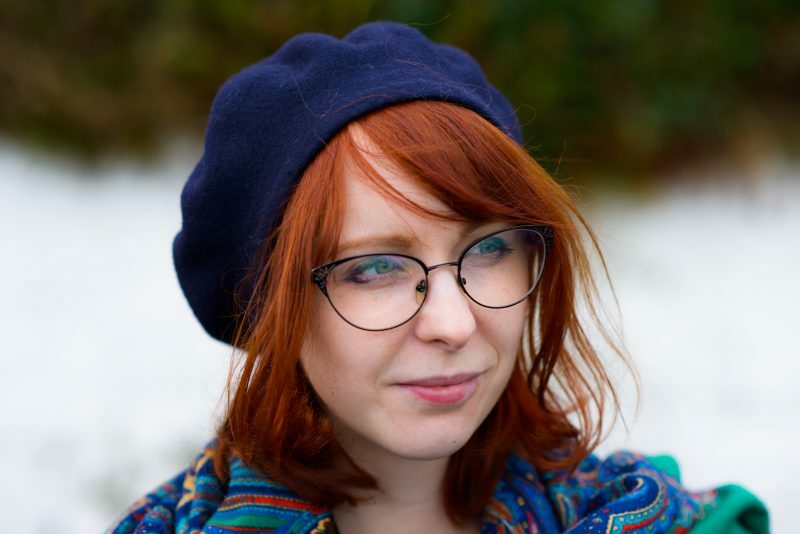 Previous Post ‘It’s Vintage Darling!’ – Why I Love Vintage Fashion!